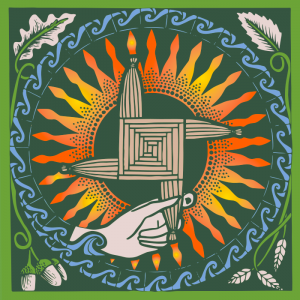 Special radio documentary on Brigid of Faughart – 9 am on Sat. 13th January on Dundalk FM..
Dundalk FM (97.7FM) will broadcast a special radio documentary on Brigid of Faughart at 9am on Saturday 13th January, it will also be repeated on Sunday 14th January at 5pm and will be available as a podcast for the Dundalk FM homepage. The programme is presented by Dolores Whelan and contributors to the programme are Dr Mary Condren, Fr Tom Hamill, Maura Lennon, Dr Alison Lennon, and May Coyle. Music by Ann Mc Donald and the Late Eithne Ní Uallacháin.